They said "it works every time", and now Colt 45 is your 2017 BWB Battle Of The Booze Champion! Thank you to JZ Designs for creating the BOTB logo! It was an all Pabst Brewing Company finals in the 2017 BWB Battle Of The Booze Tournament that saw Colt 45 pick up the win against Pabst Blue Ribbon by a margin of 58.6% to 41.4%. After defeating PBR in the finals of the tournament, I got word that Colt 45 would now like to be introduced as the "The Champ That Runs the Camp" any time they are discussed from this day forward. Going into the finals we all thought this was going to be a tough battle. Both Colt 45 and PBR had some close calls and almost tasted defeat in the earlier rounds. 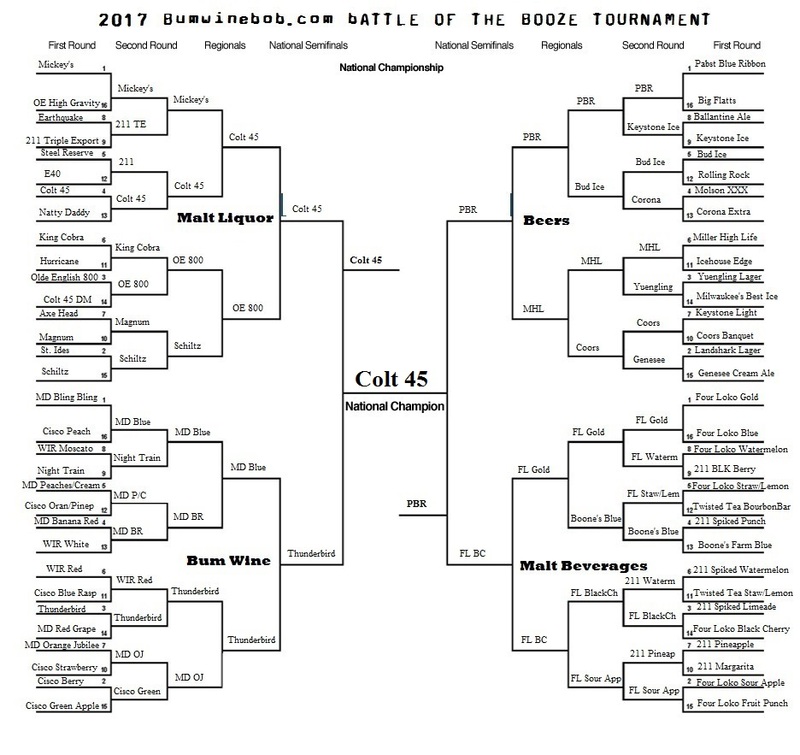 PBR just snuck by Miller High Life in the regional finals of the beer bracket, while Colt 45 defeated Thunderbird Wine by just one vote in the Final Four. Most fans were torn between the two when trying to cast their votes for this matchup. 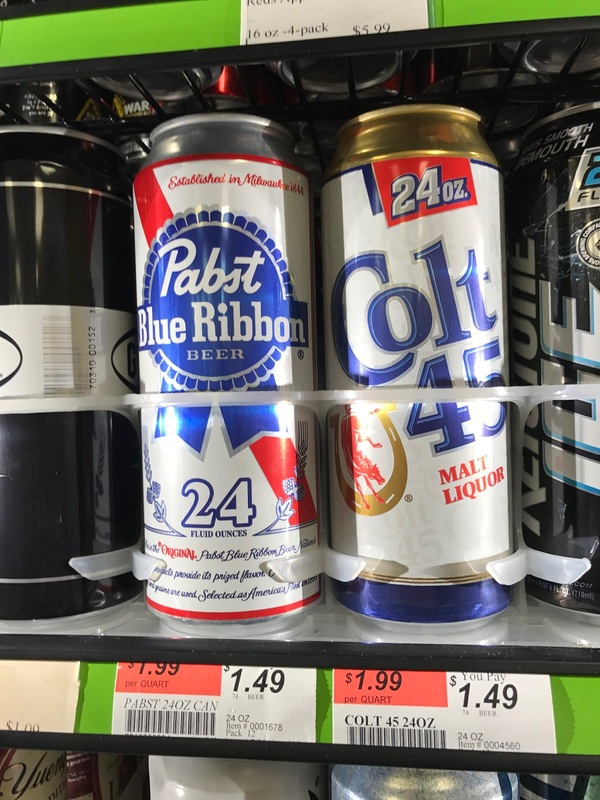 Both are classic beverages and are readily available in both 40oz bottles and 24oz cans. Who had the distinct advantage? PBR had legacy on it's side, and no one will ever forget that it was selected as America's best in 1893. 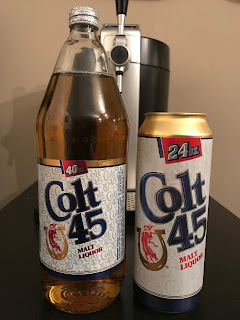 While on the other hand, Colt 45 has the ABV advantage of 6.1% to 4.74% and the power of Billy Dee Williams on it's side. 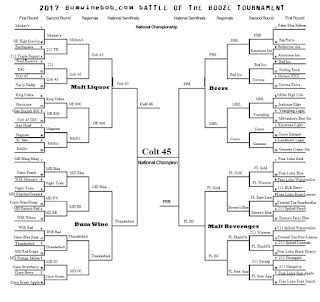 In the end it was Colt 45 that prevailed to take the crown! 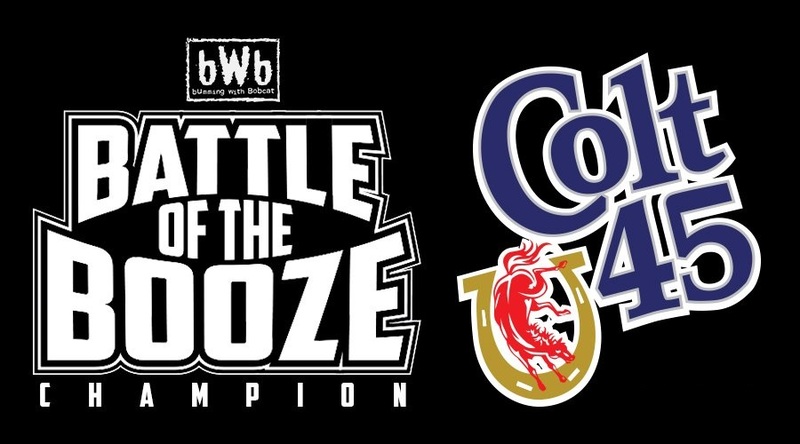 Congratulations to Colt 45 for becoming the 2017 BWB Battle Of The Booze Champion! 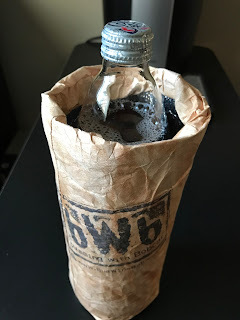 Celebrate this big victory for Colt 45 by purchasing your own bWb brown bag koozies here and tune in to Bumming with Bobcat LIVE Monday nights at 10PM ET at sfdradio.com or listen to the podcast in the archives! Cheers!